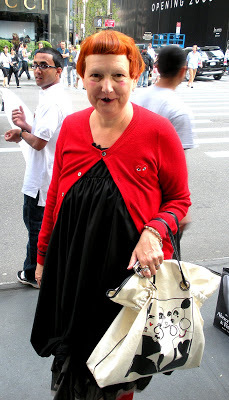 This stylish woman was very interested in knowing what my blog was all about. 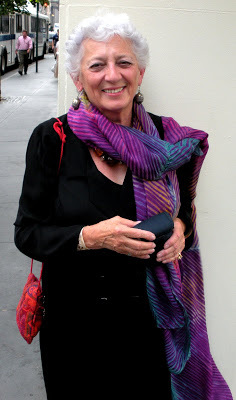 I let her know that I was documenting mature, stylish street wear and that her look had caught my eye. The splash of shocking pink has a great effect over this simple dress. 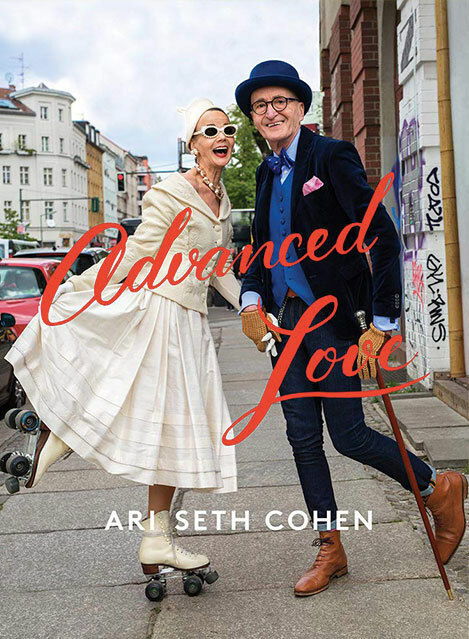 I also think that the tip of her hat and her over sized sunglasses add glamour to her overall appearance. Often when I stop someone on the street for a photo they ask me if they should a smile or not. I let them know that it’s really up to them and that I want to capture a little bit of their style and character. This woman knows how to make an impression with her elegantly draped scarf and eye-catching accessories over a black backdrop. Once again I ran out of the house without my camera and had to rely on my phone for taking pictures. 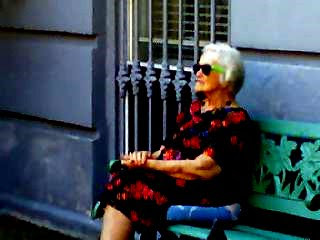 This lady was sitting on a bench a few blocks away from my house and my roommate noticed her awesome neon sunglasses from afar. In the last few years there’s been a resurgence of 80’s and 90’s fashion trends. 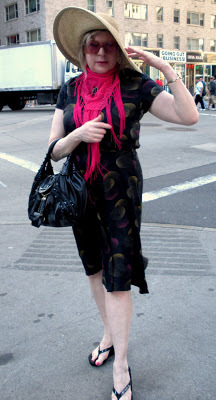 Sporting a cool contrast with her casual floral dress, this lady looks great in her radical shades!